Festive Fayre at the Quays is a special three day Christmas market event kicking off on Friday 14th December with festive entertainment for all the family to enjoy as well as traditional food and drink. 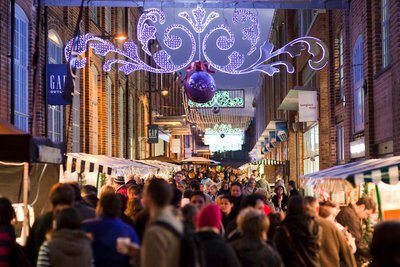 This unique shopping experience will be held in the beautiful setting of the historic docks in Gloucester and will feature over 60 market stalls, selling a huge range of artisan jewellery and accessories, wooden toys and crafts, as well as stylish tablewear, and even freshly cut Christmas trees and yuletide wreaths and garlands. As well as the specialist stalls, there's also Outlet Shopping at up to 70% off the RRP of top name brands, such as M &S Outlet, Next Clearance, and designer shops LK Bennett and Osprey. 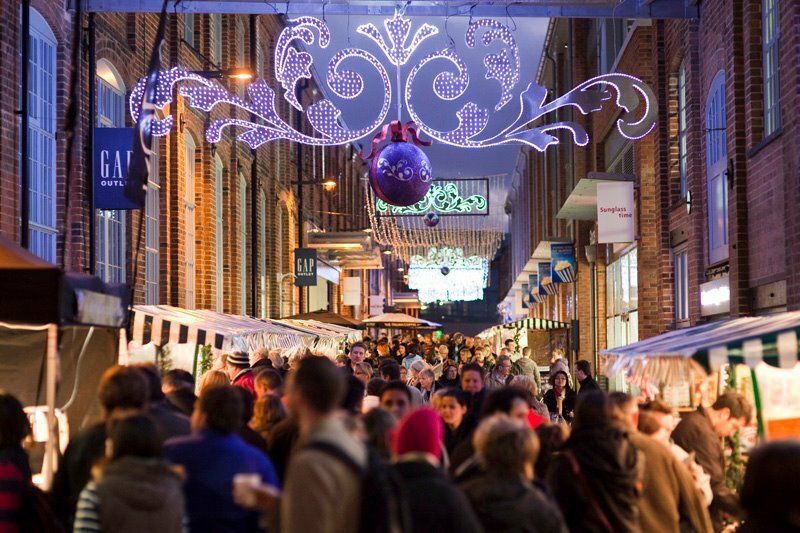 "'All our stalls will offer some really great inspiration for the festive season, and most of the stores in the Outlet centre will be running special Christmas offers and promotions – so well worth a visit this year! "confirms Alison Tennant, Gloucester Quays Marketing Manager. To see the full market stall listing, please click here. In addition to Christmas shopping, families can also enjoy the entertainment on offer each night; the delightful Bernie Bennett will entertain the crowds on Friday, Bruce Airhead at Christmas is a high energy family show which will feature on Saturday and Thomas Trilby will be performing some awe inspiring circus tricks on Sunday. Local favourites performing at the Festive Fayreat the Quays include Yuletide Rock, Peter and Astrid and Ukeholics on Friday, Gloucester Brass and Gloucester Choral Society on Saturday and Cotswold Youth Singers, Forest of Dean Male Voice Choir and The Choir Factor on Sunday. For more information on this exciting event, please visit www.gloucesterquays.co.uk.